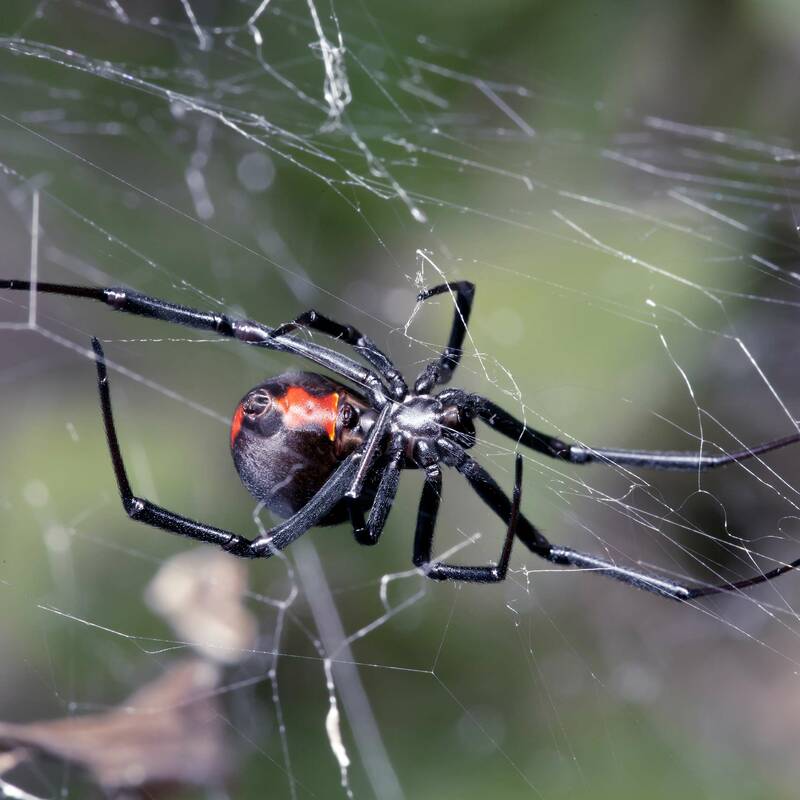 Female black widow spiders are the ones you need to be concerned about if you find them around your house. They are easy to recognize by their shiny black bodies and the bright red hourglass shape on their plump, round abdomens. Males, about half the size of females, are harmless. They are lighter in color and have pink or reddish bands or spots on their backs. The female kills the male soon after mating. Female black widows can live two or three years. They rarely leave their web because they’re too busy trapping victims and wrapping them in silk before injecting them with venom. They’re also prolific baby-makers, with one egg sac holding as many as 750 eggs. 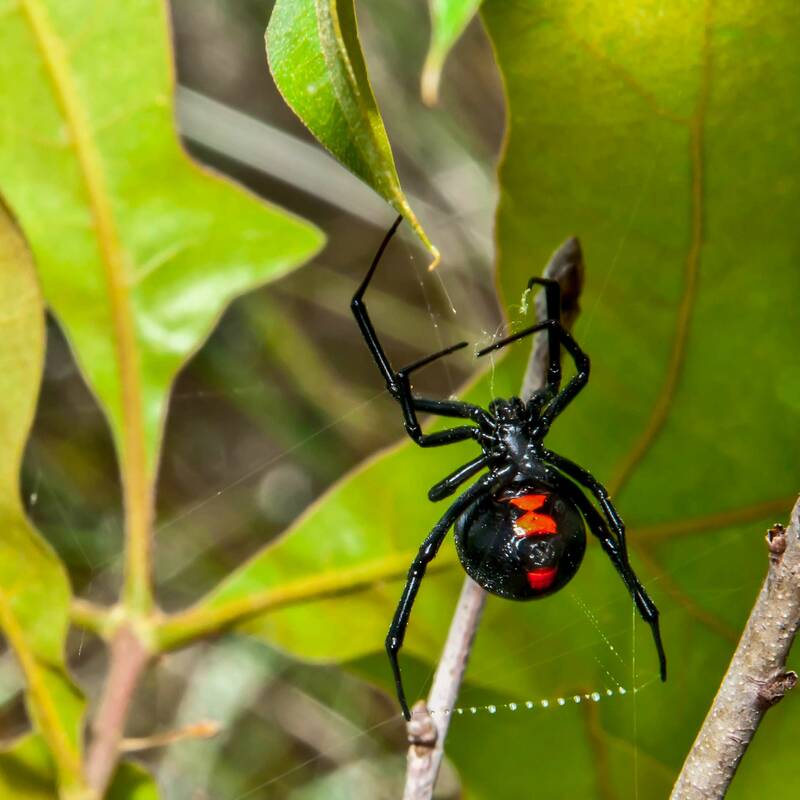 Black widows prefer to run away from humans, but they’ll bite if they feel threatened or if they’re protecting their eggs. Although they can be painful, the bites contain a small amount of venom and usually aren’t deadly to adults. However, they can be dangerous for young children and the elderly. Apply insecticide dust in cracks, crevices, crawl spaces and other hard-to-reach areas. Use a concentrated insecticide mixed with water to eliminate spiders around your home’s foundation, vent openings and other entry points. 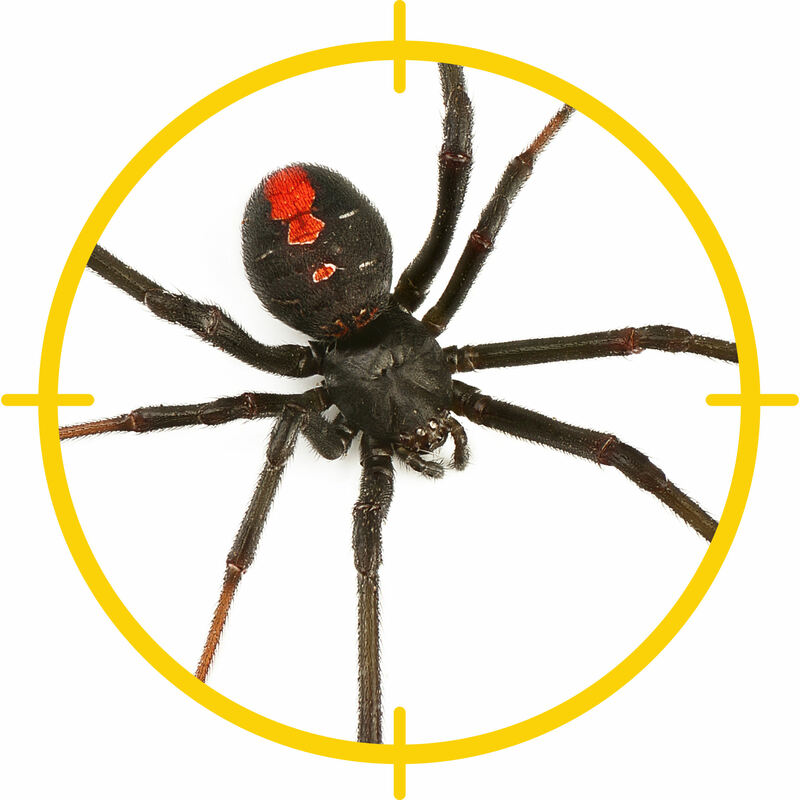 Contact aerosols kill visible spiders and flush out hidden spiders around baseboards and windows. Caulk holes and cracks around walls, ceilings, doors and foundations. Keep window screens in good repair. Keep firewood, boards and other hiding places as far away from your house as possible. Vacuum regularly, especially under furniture and other hiding places. Eliminate clutter in storage rooms, garages, sheds, attics and closets. Look for webs in corners and on the ceiling. Sweep down webs and egg sacs. Trim weeds and brush around the base of your house. For Canada: found in only the most southern parts of Canada (see map) we have to do our own map before publication.